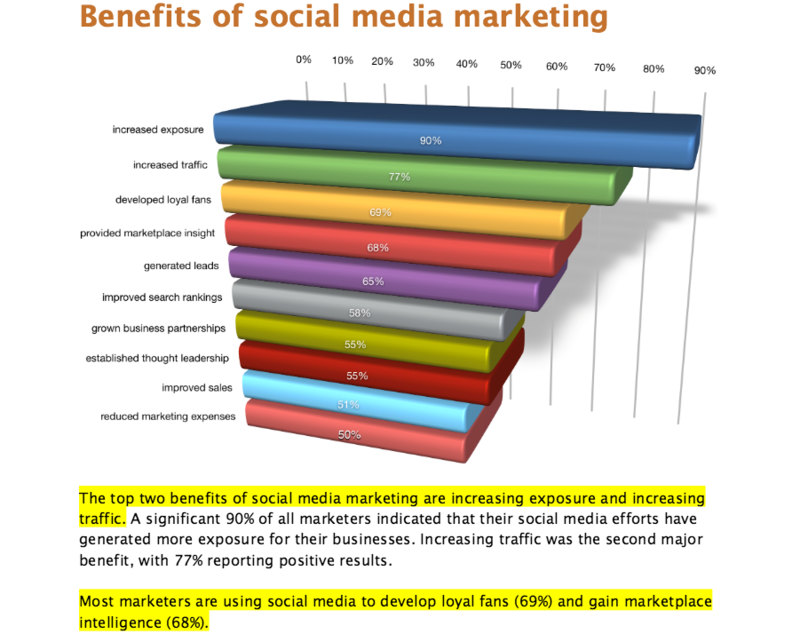 What does Social media business marketing mean to you? How do you work it into your plans to help spread the word about your business? 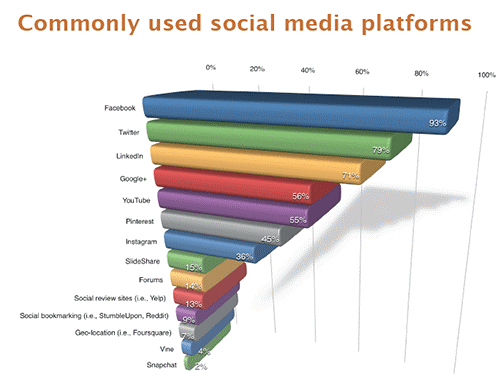 Just about everyone has heard of Facebook and Google+. You are aware they can be powerful and strategic tools for your business marketing. They can assist in branding, publicizing and driving traffic to your business. 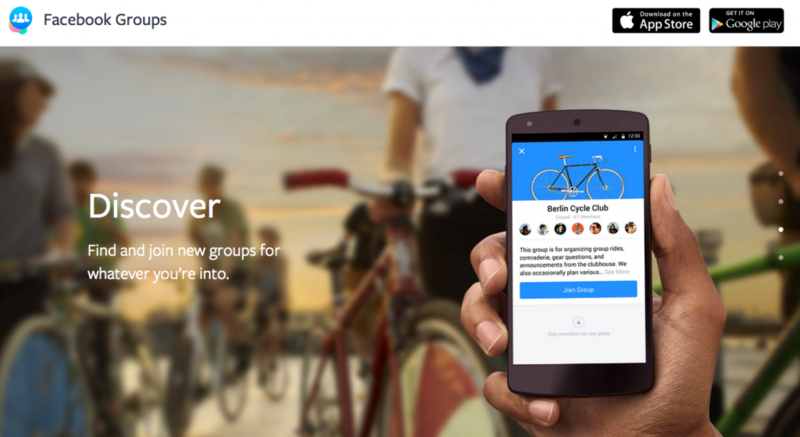 Google+ is Google’s attempt at a social media network to rival Facebook. Unfortunately, it is a somewhat confusing platform that didn’t attract the attention they anticipated. 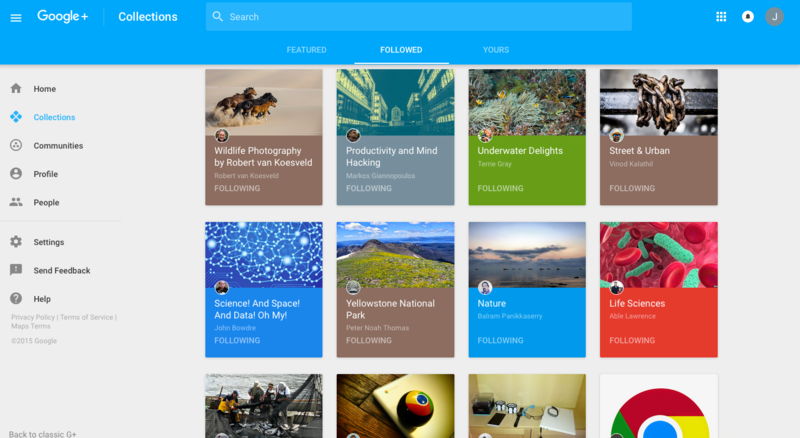 The Google+ new look gives it an eye-catching, user-friendly format. We will help you assess how Google+ fits your business model for marketing and promotion. Facebook is the clear leader of social media. The majority of people have an account, even if they are not regular users. “For me, it’s not about choosing one or the other. Each social network should be seen merely as a tool, not as a home. Twitter is where you talk to people you don’t know. Facebook is where you talk to people you know. Facebook is the place to keep up with family and friends. Screening you out with privacy controls can limit the access you have to friends posts. Which means it may not be the best place to reach your wider audience. Because it relies on your friends sharing your updates to introduce new people to what you have to say. Google+ has always served a different purpose. You can add anyone to your circles. Grouping those circles according to interest and networks thus encouraging new friendships and connections. You can direct those interested in your content via hashtags and effective SEO. We suggest you use both of these – they’re not as complicated as you might think! Facebook remains unchanged as the place to share your updates with family and friends. This is where we pay to promote “likes” to our pages. That way our news appears in a small percentage of those”likers” feeds. Savvy businesses recognize Google+ renewed and organized platform. Your ability to connect to people with shared interests received some interesting tweaks. They added new features that link folks’ passions with products and services they want. Google calls the changes “front and center” of their new design. The emphasis is now on Collections, which is like Pinterest. The second emphasis is on Communities, which is akin to Facebook groups. Collections allow users to group their posts by topic. Communities brings enthusiasts together to share interests. Both can be easily used for your business marketing. The new Google+ has a clean design and a significant lack of ads, unlike it’s Facebook competitor. Google+ is a great place to connect with like-minded people who are searching the same topics as you. Facebook brings together scattered information from the people they know. It relies on sharing between friends to connect with new readers. Or through membership of groups for a wider audience. The drawback of active Facebook groups is the sheer volume of traffic they receive each day. You lose much of the information you share in a huge group because of the noise. The larger useful groups receive hundreds of posts a day. This drives your information down the newsfeed where few see it. Users tend to switch notifications off for group posts. They avoid being buried in Facebook group emails and triple digit alerts. Which means your information is either not seen by many, or skimmed over. Your post needs to receive immediate attention in the form of likes and comments or it drops out of sight. It’s a tricky business if you sell a service your friends have little interest in. 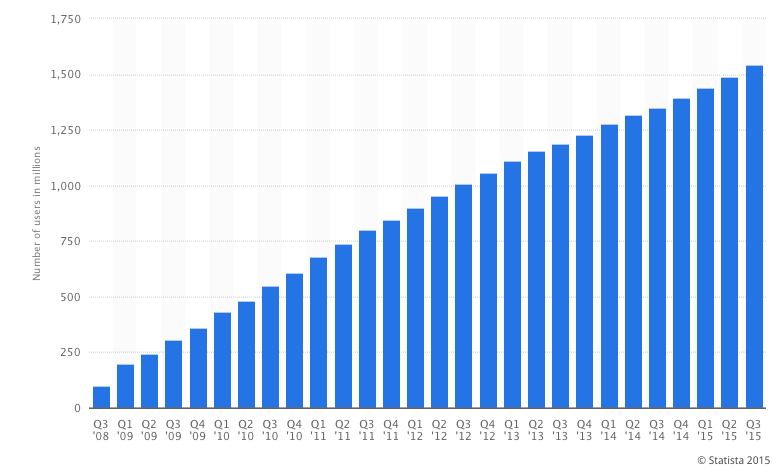 Facebook’s advantage is in their sheer numbers. 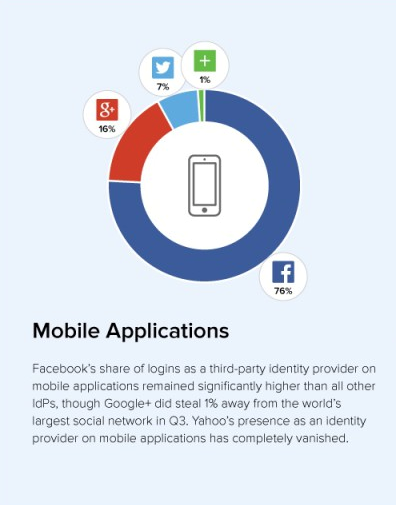 Despite a drop of two percentage points, Facebook has a 64% share of social media logins. Almost three times higher than Google+. Facebook has the statistical advantage with traffic and opportunity for exposure. You want a tested and well targeted release on Facebook. One that is eye-catching and click-worthy. We call them unicorns and they have reached thousands to millions of people. It’s as much art as it is science. Timing is often critical. Facebook claims a larger margin on mobile devices, with a 76% share compared to Google+’s 16%. 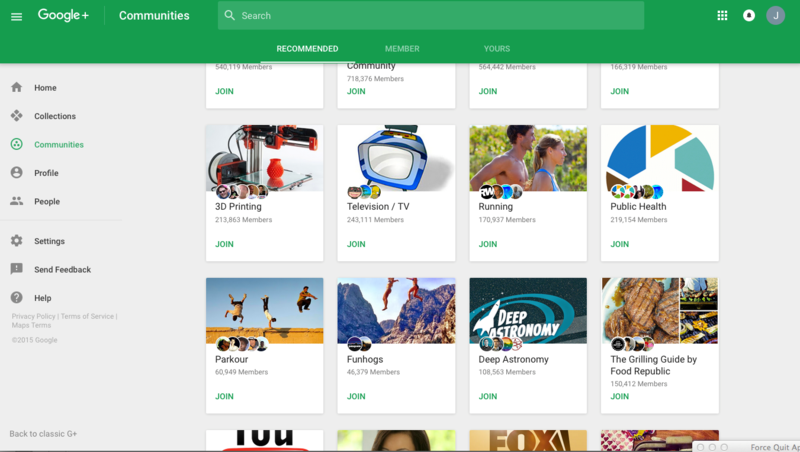 Google statistics boasts they average 1.2 million new “Community” users daily. “Collections” is growing even faster. Facebook remains the most used social media platform for 2015. 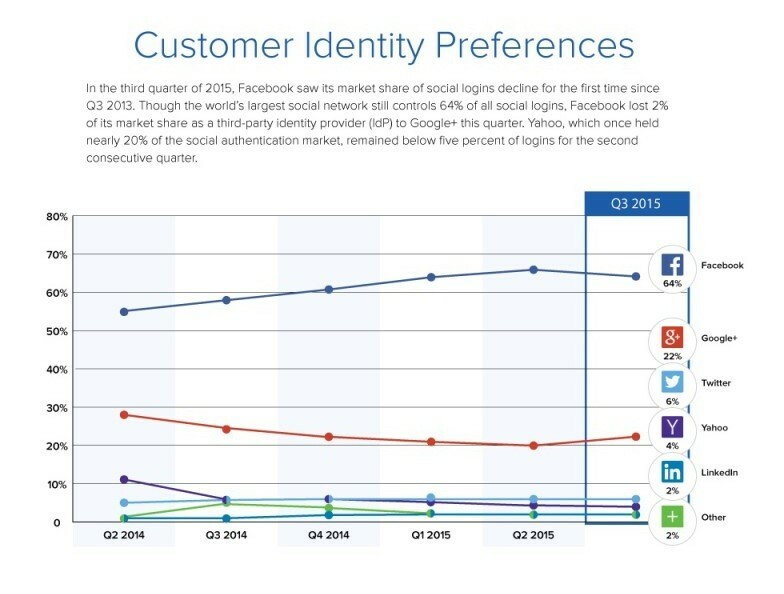 Google+ comes in fourth. It will be interesting to see the 2016 rankings after the changes Google made. The internet offers social media users opportunities to vote with their usage. Those tired of targeted ads and changing policies at Facebook may adopt Google+. Meeting new people with similar interests appears to be a new venue too hard to resist. So which of the online giants is better for your business marketing and spreading the word? Each have their pros and cons. If you would like follow along here with Outdoor WebResults and we will help you assess these and apply them to your situation and needs. It can be difficult to consider all the social media platforms. The two mentioned are just a couple integral parts of a larger online customer-driven social network. If you want Outdoor WebResults to help you gain more of your perfect customers, you have choices to make. Here are several key options. You can follow along here or sign up for our Outdoor WebResults marketing group newsletter. Receive timely inside information to power your business forward. It’s possible ‘you want real easy, done right’. If so contact Outdoor WebResults to do it all for you or just the parts you are too busy to deal with. Do you feel more comfortable scheduling a consultation, one on one? We are busy but if you want us come to your office and talk with you and your staff we can work that out. Please keep in mind the goal is to improve your bottom line. Our consultations are valuable mini training sessions, and our fees are minimal. After the consultation you decide how you want to proceed from there. Pick up the phone and leave a message about the problem you would like us to solve. We can deal with any marketing solution you seek. The marketing solutions available are a puzzle we fit together just for you. Your first order is building an SEO-friendly, mobile responsive website that attracts business. We help you put together the rest of the marketing pieces based on your business and goals. We will detail how you use each piece of the puzzle to a specific advantage for the various parts of your business. By tailoring your specific business marketing to what you offer, we target each opportunity. No more blasting a broad spectrum release across Facebook, Google+, Twitter, LinkedIn and others. We help ensure your word reaches and engages your target client and customer. In any case, your experience will be rewarding and beneficial. It’s a journey you will be happy to find filled with inbound customers!